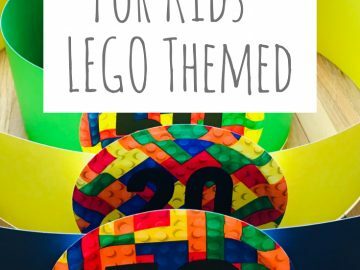 Kids make the holidays exciting, unpredictable, memorable, and bring so much joy to everyone around them. 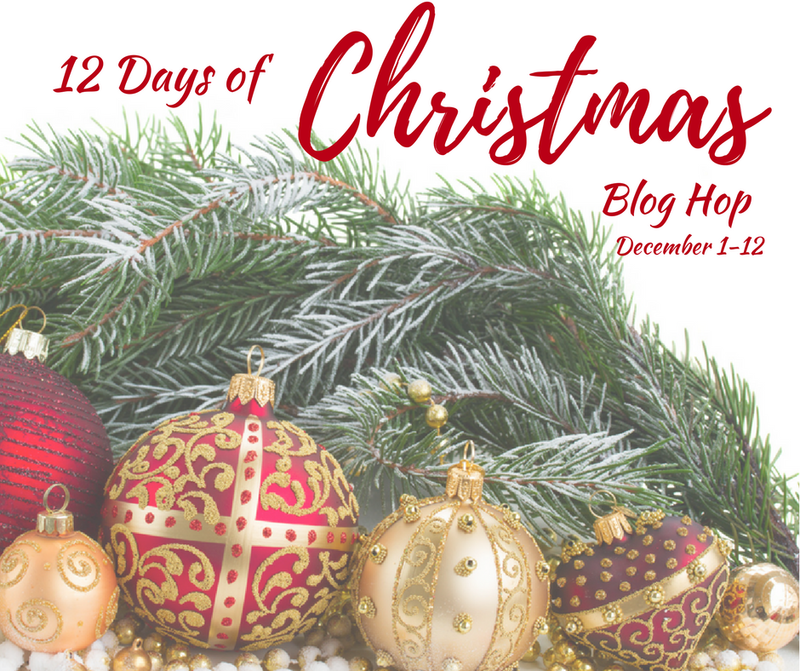 The magic, the wonder, and the cheer is evident on every child’s face during Christmas. Christmas is also a time when family and friends gather and connect. 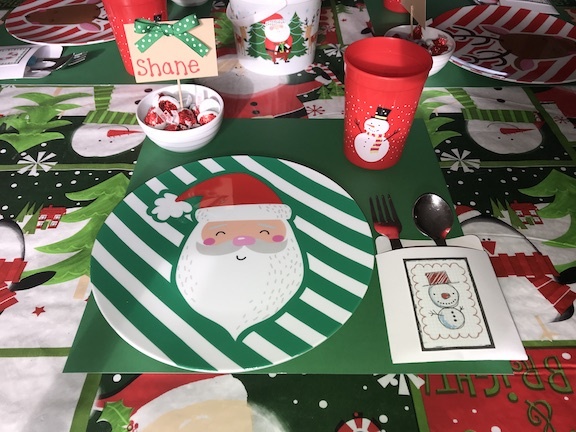 My children love seeing their cousin and being together and of course sitting at the “Kids Table.” I have created a fun North Pole themed table for the kids to enjoy and I’m hoping this will keep them at the table. 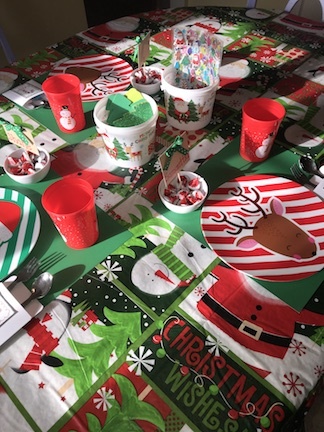 To design this North Pole table setting, I went to my favorite places, the Target Dollar Spot and the Dollar Stores. Christmas can be expensive and I like to reuse items I already have. I am using the buckets from the Hot Chocolate Bar and the tablecloth for the kids table. I found the plates at the target dollar spot, the foam christmas trees, and the stickers. I found the snowman cups at the Dollar General (4 for a $1). 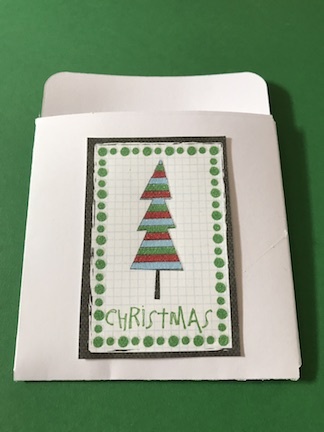 I am using 12×12 card stock as the placemats because kids can be messy and it also gives them a place to draw or add stickers to. It’s also an easy clean up. I made the silverware holder on my Cricut by creating a card holder and sizing it to hold children size silverware, then I added a picture to the front of the silverware holder. 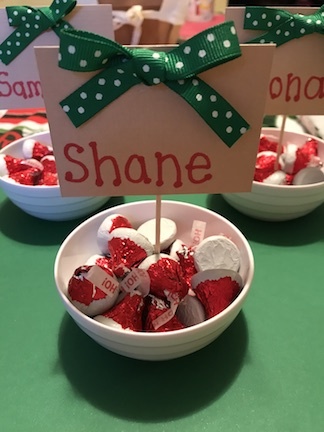 Since it’s Christmas I made cute gift name cards and placed them in a bowl of Hershey Kisses (it’s ok because it’s Christmas). I found these cute plastic bowls at Wegmans (69 cents each) that are the perfect size. 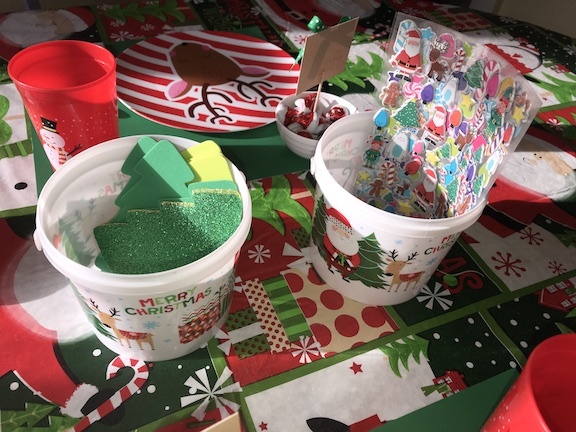 In the center of the table is a bucket with foam Christmas trees and stickers for the kids to decorate. I wanted to choose something that could be done independently and mess free. 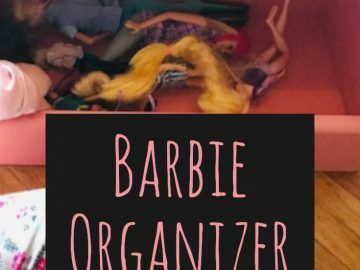 My children have been watching me create this for days and can’t wait to get their hands on all of it. I am putting away most of it for Christmas, but I will be going back to Target for more foam trees and stickers because the kids are in love with them. I promised they could decorate the trees as soon as I was done. 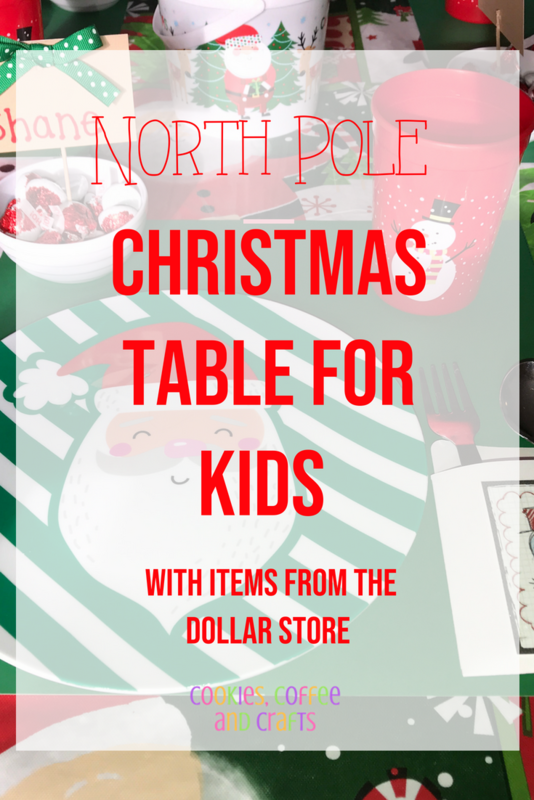 The North Pole Christmas Table for kids is bright, colorful, and full of Christmas cheer. The kids will love decorating the trees and munching on some chocolate.